Dr. Chumbley graduated in the Top 4% of his class from the University of Texas Dental School at Houston, where he was awarded multiple honors upon graduation including: Texas Dental Association Outstanding Student, Academy of General Dentistry Senior Student Dental Award, and American Academy of Oral Medicine Award. He was also inducted into the prestigious Omicron Kappa Upsilon National Dental Honor Society. 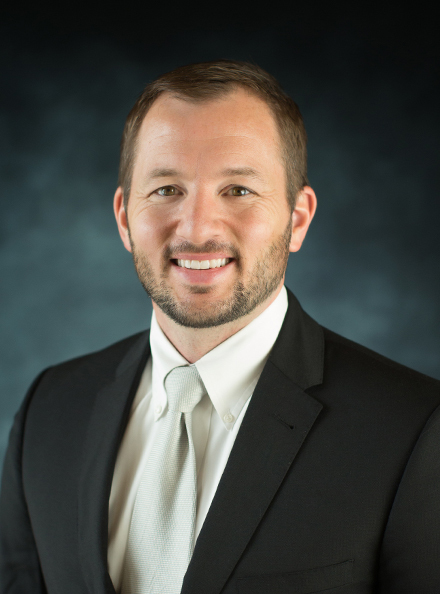 With the desire to provide excellent dental care to his patients, Dr. Chumbley has furthered his education since graduation by attending courses across the country. He has advanced training in dental implant placement. He has also received advanced training in orthodontics from Progressive Orthodontic Seminars which allows him to provide custom braces for his patients. In 2014 alone, he received over 150 hours of continuing education and will add another 200+ hours in 2015. Dr. Chumbley has a desire to learn and pass this on to his patients so he may better serve and care for them. Dr. Chumbley is a native of central Illinois but met his wife, Becca (Lopez), at Florida College in Tampa, Florida, and followed her back to Spring. She is a 1999 graduate of Klein High School. They have three beautiful little girls: Madeline (10), Mia (6), and Amelia (2). Needless to say … they keep him busy when he’s not at work.